X Factor finalist James Arthur collapsed after singing Mary J Blige's No More Drama on Saturday evening. 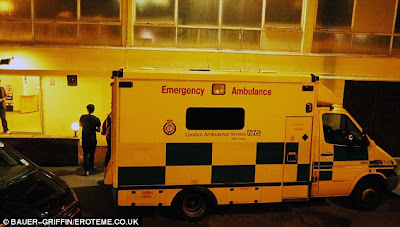 An ambulance was called by worried show bosses after the 23-year-old said he felt unwell and dramatically collapsed after the live show ended - sparking speculation producers are working contestants too hard. It is thought the contestant had a panic attack infront of producers, he was seen looking visibly distressed as he was led out the studio by his mentor Nicole Scherzinger. 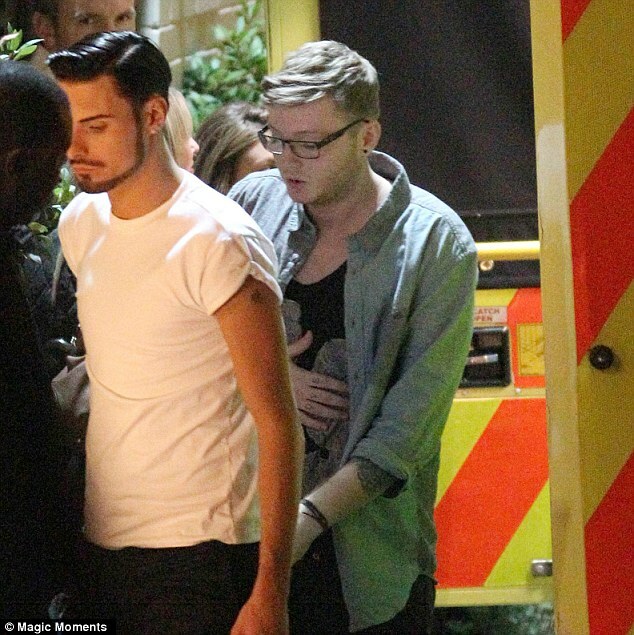 Bosses immediately called an ambulance for the tattooed singer where he was helped by fellow finalist Rylan Clarke - but paramedics at the scene later decided Arthur didn't need to go to hospital. Arthur, who has made no secret of his troubled background - claiming he slept on benches as a youngster, had wowed audiences with his rendition of the Mary J. Blige classic. It is thought the the ambulance crews, who sped to the studio in Wembley, London, was called as a precaution. Show bosses told MailOnline will be well enough to perform for Sunday's show. On Saturday night, Ella Henderson pulled off another perfect performance as she hit the high notes of Minnie Riperton's classic Lovin' You. The 16-year-old got a round of applause mid song as she hit the F-sharp descending - an incredibly difficult note to sing. Head judge Gary Barlow praised Ella for tackling such a challenging song: 'What a risk you took. The F-sharp descending. you completely nailed it. It paid off. 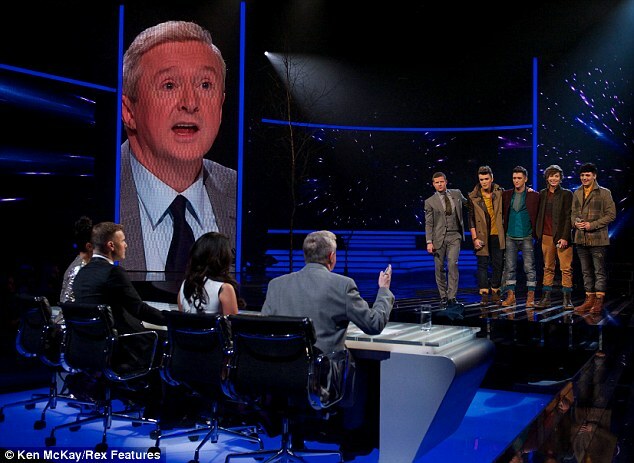 Louis Walsh tried to accuse her mentor Tulisa Contostavlos of trying to style her like Adele in her column Ted Baker dress, however the singer and her act insisted it was her own choice of outfit. 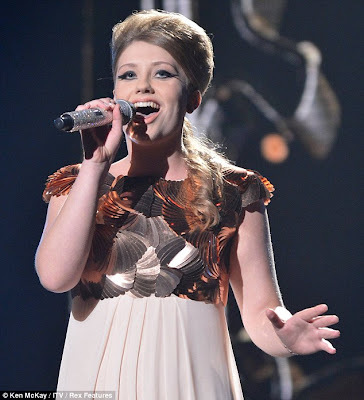 Ahead of her performance, Ella admitted she would find it hard to connect with the song because she's never been in love. 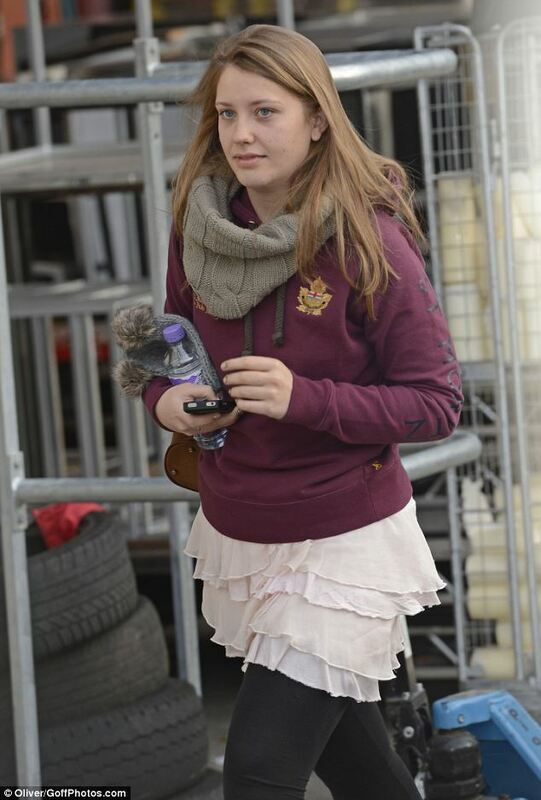 She denied speculation she was dating Union J's George Shelley, insisting they were 'best friends'. 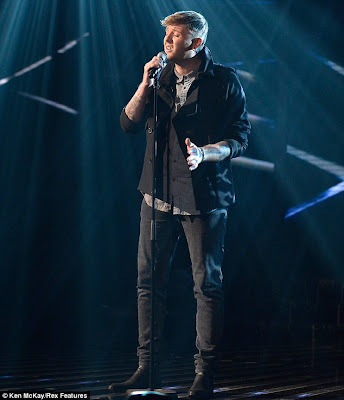 The first performance of the night was Nicole's shy boy Jahmene Douglas, who managed a confident performance of Amy Winehouse's Tears Dry On Their Own, with a brief interlude of Ain't No Mountain High Enough. 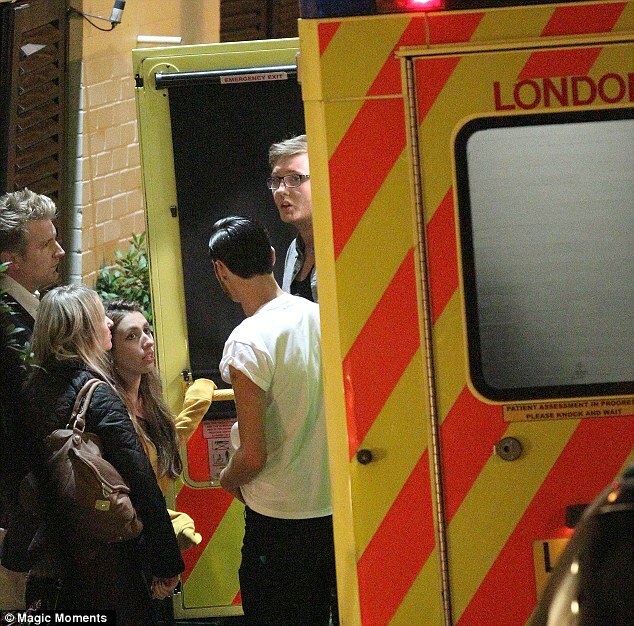 Tulisa told the 21-year-old: 'You are looking very dapper tonight. I think the ladies are gonna be lining up after that. 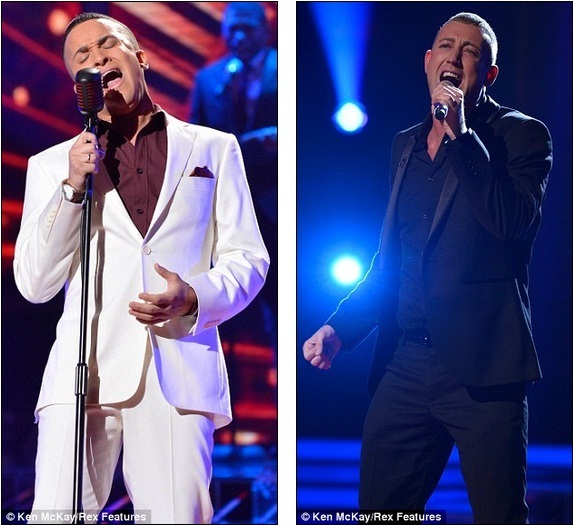 Liverpool Over 28s singer Christopher Maloney was up next, with his version of Heart's Alone kicking off the feud between Gary and Louis. Louis's boy band Union J were up next, hoping to improve after a negative response to their performance last week. After meeting One Direction, they were given a confidence boost and channelled that into their rendition of Leona Lewis's Bleeding Love. 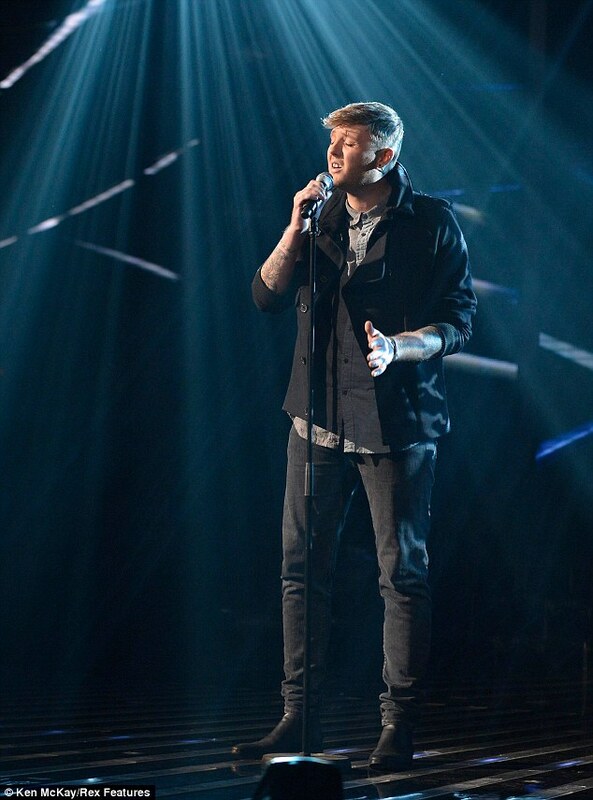 Another bookies favourite James Arthur did a stunning performance of Mary J Blige's No More Drama. Ahead of his performance, he was amazed when Nicole arranged for him to have a conversation with the soul singer. 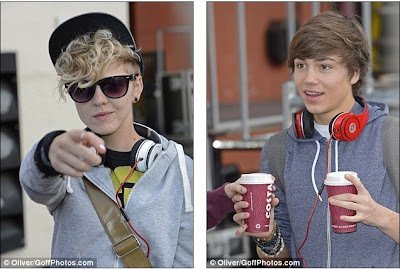 Gary added: 'James, my God. you can really, really sing. You've got a lot of technique, but you pair it with emotion. Singer/songwriter Lucy Spraggan surprised the judges and the audience by singing an upbeat song. 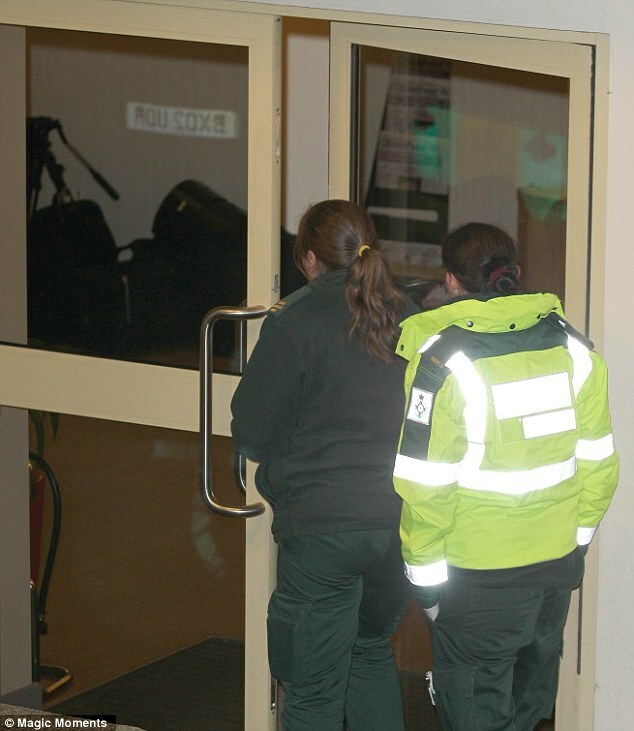 Although the theme was love and heartbreak, she insisted she didn't want the death of her grandmother on Monday to mean she ended up with the 'sympathy vote'. 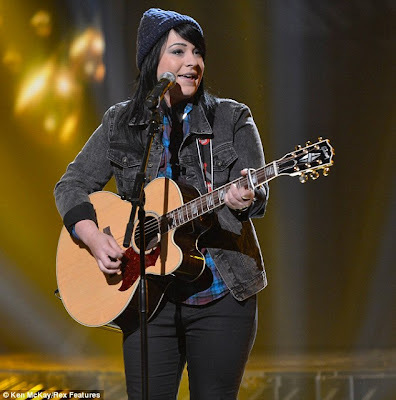 She impressed all the judges with an acoustic rendition of Kanye West's Golddigger. 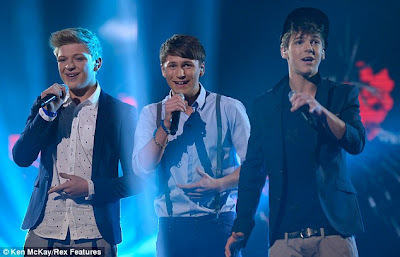 After a successful Week 1 performance, unfortunately District3 had a mixed response to their cover of All-4-One I Swear. Nicole got a bit over-excited as she said she wanted the trio to rub themselves 'in baby-oil and sing it like you mean it'. Continuing to be the dark horse of the competition was Jade Ellis, who proved herself to be one of her stronger performances of the night. The Londoner looked stunning in an asymmetrical dress as she sang Amy Winehouse's Love Is A Losing Game. 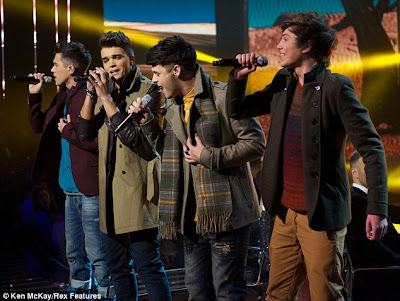 Gary also wasn't impressed with MK1's performance of Jackson Five's I Want You Back, dubbing it a bit 'Glee'. 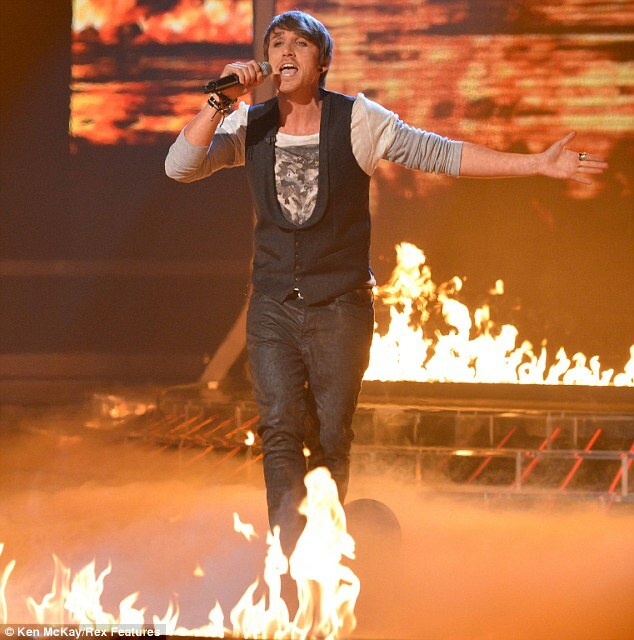 Gary's act Kai Sones also divided the judges with his rendition of Rihanna and Eminem's duet Love The Way You Lie. He ended up clashing with Gary again after complaining he was 'bored'. 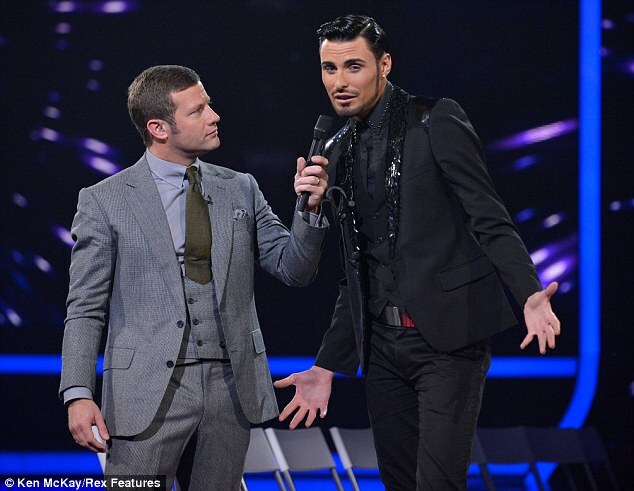 As expected, Rylan Clark put on the biggest show of the night, accompanied by Karl Lagerfeld and Anna Wintour lookalikes as he sashayed down the catwalk. 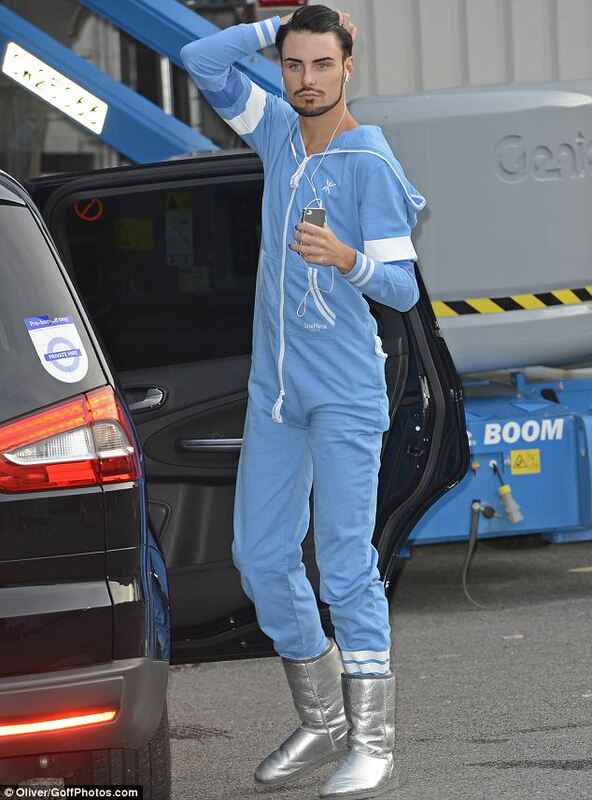 The flamboyant Essex singer performed a mash-up of Groove Is In The Heart - Deee-lite and Gangnam Style. 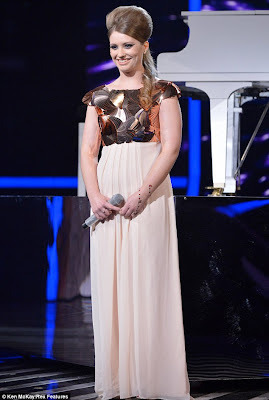 Last to perform was Scottish singer Melanie Masson, who wowed the judges with a cover of INXS's Never Tear Up Apart.